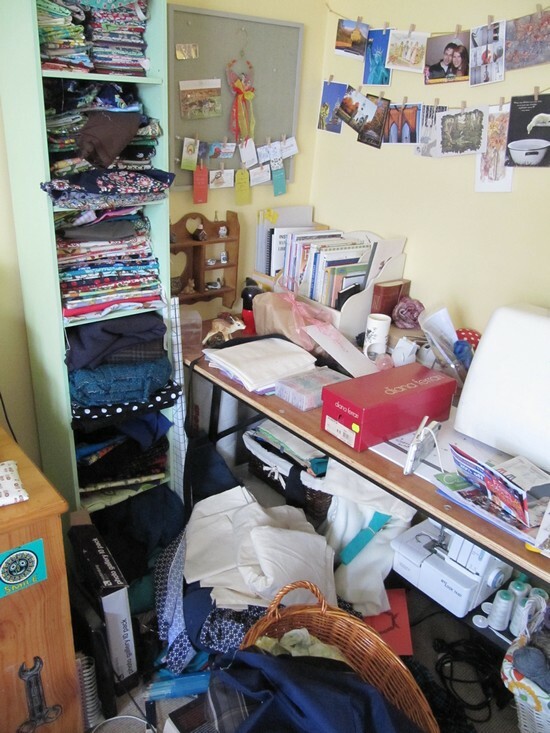 This is my craft room at present. Scary! But they’re not so great for, well finding things, or for storing anything. 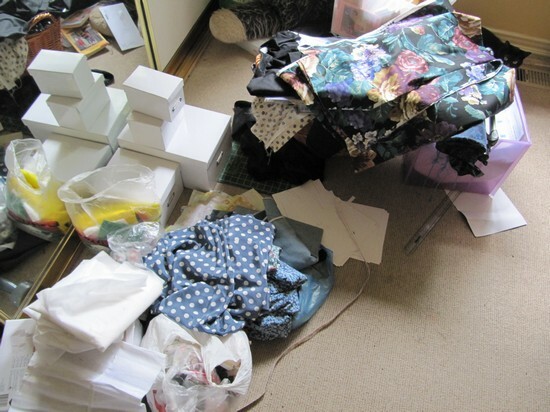 In short my fabric stash has exploded and something needs to be done about it. I managed to spot all three in the bottom photo, but I can’t find the weight or the book in the first one (how cute it the kitty cat hiding at the back though)! Good luck with the spring cleaning – that’s exactly what I need to do too. Hehe you had an advantage as you know what your phone gizmo looks like! I found all 3 in the first photo! (but only after I saw your comment about the weight being in the mirror lol) In the second picture I can see the toadstool but not the other two things!